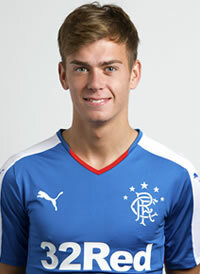 Annan Athletic have secured the signing of Ryan Sinnamon on loan from Rangers until January. 20 year old Ryan plays as a defender at either right back or centre back and has featured at international level from U16’s to U19’s. Sinnamon started his career at Rangers U20’s and last season spent a loan spell at Falkirk where he made his professional senior debut in a 5-0 win over Dumbarton in the Scottish Championship. Ryan goes straight into today’s squad for our trip to Elgin.